Different skin care products are below. Idiaper offers many different types and brands of skin care products. Each of the personal care products idiaper offers has been carefully selected to help with any of the side effects of incontinence. Finding the diaper or brief that is the right fit and has the correct coverage is not the end of the incontinence needs. 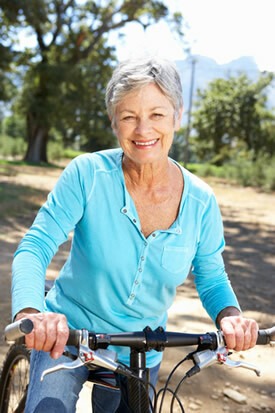 Skin health is very important when it comes to incontinence. Personal care items like the wash creams and ointments are very important to insure that your skin stays healthy. Bacteria and moisture are present when it comes to incontinence diapers or briefs, and they can cause skin sores, rashes and irritations. The creams and ointments give your skin the extra protection it will need. The ointments and creams offered by idiaper are designed to bring back your skin health, and protect it from any further irritation. •	The Baza Clear Skin Protectant Ointment is a protectant with natural vitamins A and D. It helps protect chafed skin and helps seal out wetness. •	The Calmoseptine Ointment will help protect and heal skin irritation. It helps relieve the discomfort and itching. It will provide a moisture barrier. •	The Remedy Olivamine Skin Repair Cream is a blend of nutrients that are targeted for skin cells to promote healing of dry, cracked, inflamed, reddened, itchy skin. •	The Tena Skin-Caring Wash Cream cleans, moisturizes and protects the skin in one easy step. It is a no-rinse formula. It has a fresh scent. •	The Tranquility ThinLiner Absorbent Sheets are designed to be used to absorb moisture from any skin folds. They provide superior odor control and protect delicate skin areas from rash and discomfort. •	The Aloe Vesta Perineal Cleanser is a mild, non-drying cleanser with aloe vera gel. It is a no-rinse formula that soothes and moisturizes irritated skin. If you find that you are starting a skin rash or irritation where your incontinence diaper or brief sits, you should start treating the skin immediately. Or better yet, be proactive and keep you skin protected with one of these creams. You will feel better if your skin is not red, sore and irritated. Then check your incontinence containment product. Make sure you are using the correct size for your waist and hip measurements. If not, you probably will need to change the size to the appropriate size for your measurements. One of the causes of skin irritation is an improperly fitted containment product. They can rub and chafe or even pinch your skin. By eliminating the source of the problem you are half way to the solution. Then use the creams or ointments to heal the irritated skin.